They told you the real business happens on LinkedIn. Now you have hundreds of contacts but not a single client and you are ready to ditch the platform for good. LinkedIn is 277% more efficient for Lead Generation than any other platform ! "I've been on LinkedIn for years but never got anything out of it !" This is about to change with my 15-part video course ! Click on the tabs below to see detailed information for each part ! The third part of my video training course will help you use LinkedIn pro-actively in order to identify and build relationships with prospects so when they need your services you will be top of mind and they will reach out to you. As mentioned before, LinkedIn keeps changing things around and adding new features. In this section you will find some additional videos. You are confused about how to build your network. Should you add everyone or keep your network closed? You have heard other people getting new clients via LinkedIn and would like to learn how they do it! Is that you? Then this course is for you! RECIPE FOR LINKEDIN SUCCESS ! ​This course is online, available when ever you need it. Your access doesn't expire. You can watch the videos over and over again. We know that LinkedIn is constantly adding new things. Whenever there’s something new that I think should be covered, I will add it as a bonus video. Remember, LinkedIn is 277% more efficient than any other platform ! Learn how to use it now! "I have been ignoring LinkedIn for way too long. So I decided to take the plunge and learn from one of the Pros - Sarah. After going through her very helpful course, I have already landed a client. More than likely a result of implementing the tips and tricks she shared on improving my profile and networking. Thanks Sarah!" "Completing my LinkedIn profile was such an overwhelming task for me. But after taking Sarah's program I started implementing changes and my perspective changed. By following the step by step videos I managed not only to optimize my profile but I also got instructions how to build my network, search for prospects and much more. I definitely recommend this program, it's a real value for the money Thanks once again!!" "Sarah is a leader in her field and a fellow LinkedIn expert I am proud to collaborate with. She is generous with sharing her expertise and a source of knowledge, and marketing expertise is worth tapping into through her products and services. Sarah is Switzerland's number one LinkedIn expert whom I am proud to call a colleague and friend. Look out for her next LinkedIn Challenge, which runs in June and December." 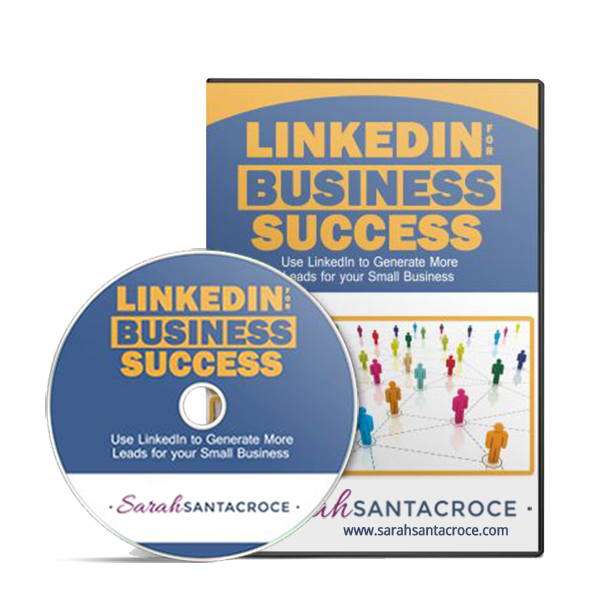 Get instant access to my LINKEDIN FOR BUSINESS SUCCESS VIDEO COURSE now for $997! Ready to generate business on LinkedIn? See you on the training videos! 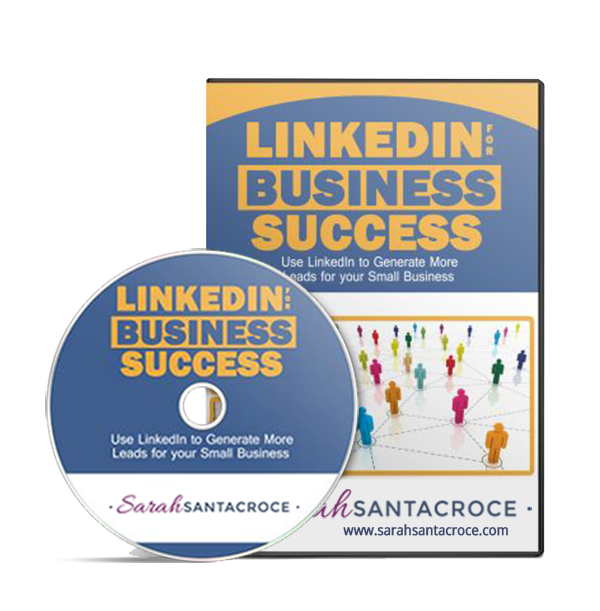 Sarah Santacroce is an internationally recognized LinkedIn Consultant & Strategist and who helps you convert your presence there into paying customers. She's also the creative brain behind the LinkedIn Challenge, an event that has helped 1800+ people so far to improve their knowledge about using LinkedIn for business. Sarah's expertise and eagerness to share her knowledge with others have made her an in-demand expert and a sought-after presenter at numerous workshops and webinars. Sarah lives & works in beautiful Switzerland but works with people from all over the world.